We are happy to welcome Elkagorasa from Elkagorasa the Casual this week! We talk all about one of his favorite topics, Warlocks, along with pretty much everything else. News includes Blizzcon Tickets, new lore article and a hashtag campaign. 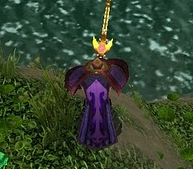 We’ve got a TNTCast and some new Blog Azeroth blogs to finish up. Blizzcon 2011 tickets go on sale May 21 and 25.. May 21 at 10am Pacific and May 25 at 7pm Pacific. Check your other enchanting mats prior to 4.1. It is coming soon. Do you have dust or essences you don’t have any immediate use for? Sell them now. With 4.1 there will be a new rush of people doing random heroics. But be aware with the new gear dropping some items will need to be enchanted. – (Foodie blog) The Gamer’s Fridge LINK Kaldorei Spider Kabobs! We are always looking for more intros/outros. Either call our voicemail at 407-705-3161 or email us the audio file to info@twistednether.net . MORE MORE MORE. Make sure you pimp your blog, podcast, twitter account or even your guild! Next week is Episode 127 on April 23, 2011 with a rescheduled Miyari from WoWhead Blog (unless 4.1 hits on Tuesday). Visit us on the blog for further updates or on Twitter @TwistedNether.